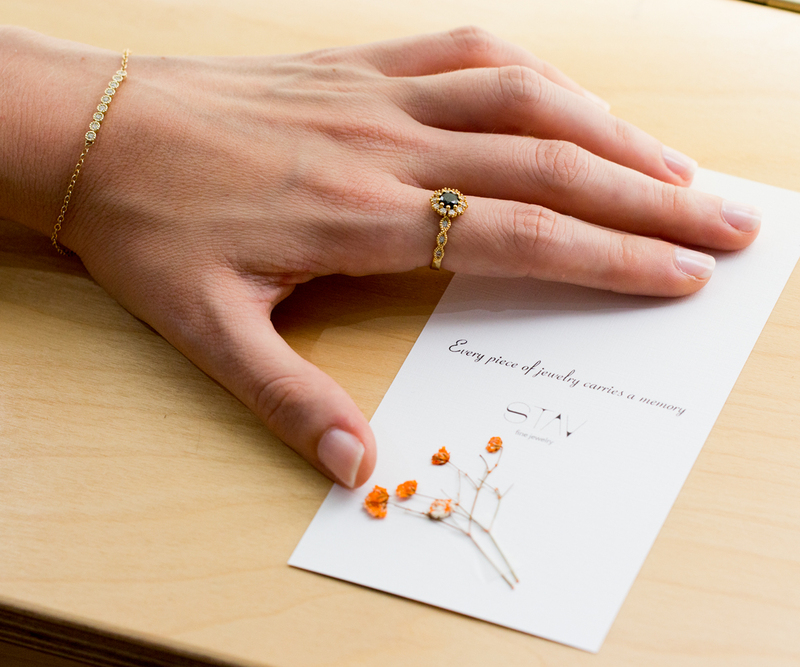 Hello, I am Stav, a goldsmith and a jewelry designer based in Tel-Aviv Israel. I was lucky to grow up as a painter’s granddaughter. My grandfather Gershon Davidovitz was one of the founders of “Ein Hod”, an artists’ village in the north of Israel. His paintings and artistic worldview along with values such as colorfulness, composition and aesthetics have accompanied me through all my life and will continue to accompany me. I completed my B.A in the Jewelry Design Department at Shenkar Design College in 2011 and on that year I have established “Stav Fine Jewelry”. During my studies, I was chosen to work as an intern at the jewelry department of Max & Spencer in London, England. The jewelry I design and produce are made from the best quality materials: gold, diamonds, precious stones and more. My designing concept is combining the modern and the classical in order to grant the jewelry a gentle and elegant look. My personal handmade work promises that every piece of jewelry is unique and produced in a small series. All of the jewels are produced by using the newest technologies combined with a handmade craft. 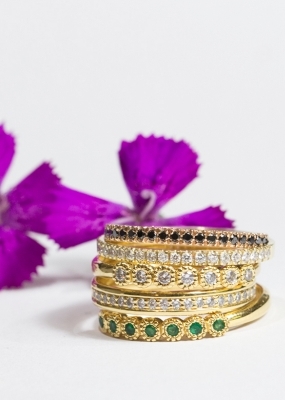 The jewelry is personally and specifically made for every customer and so there is an option to alter every piece of jewelry so it matches your personal will: gold color, karat, gem’s kind. There is an option to change the jewel’s original components if it doesn’t qualify your budget. I promise to give you a personal and professional treatment.